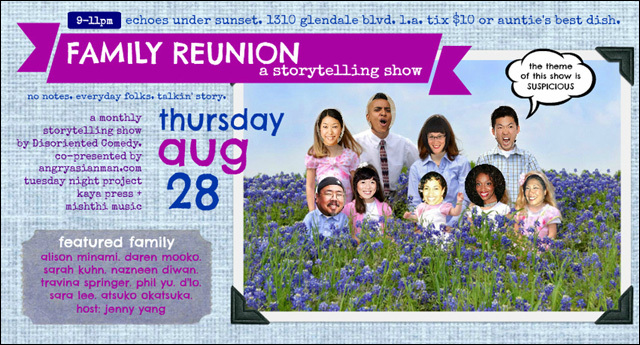 This for all my friends in Los Angeles... Disoriented Comedy invites you to Family Reunion, an evening of storytelling co-presented by Angry Asian Man, Tuesday Night Project, Kaya Press and Mishthi Music. A fun lineup of everyday folks talkin' story, no notes. It's happening Thursday, August 28 at Echoes Under Sunset. We are kicking off Dis/orient/ed Comedy's FIRST Storytelling Show! 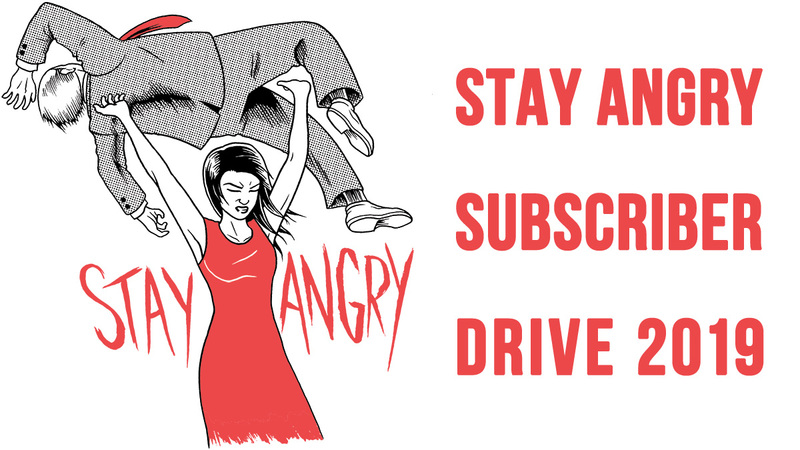 It will be a monthly series co-presented by Angry Asian Man, Tuesday Night Project, Mishthi Music and KAYA Press! Tickets $10 presale http://disorientedcomedy.com/ or $10 cash at the door or Auntie's Best Dish. No notes. Everyday folks. Talking story. 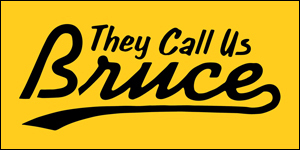 Yes, I will be one of the folks telling a story. Please come support me and my people. Tickets are ten bucks. Purchase yours here. For further information about "Family Reunion," check out the Facebook event.